A 21-year-old student from Hampshire, who is poised to become the youngest Briton to scale the highest mountain on every continent, is heading to Everest to complete his bid. Geordie Stewart, a student of history and theology at St Andrews University, hopes to climb the 8,848m high Everest in May after rigorous training. Mr Stewart found his love of climbing completing the Three Peaks of England, Wales and Scotland in 2007. In the following years, he successfully scaled six of the seven continents' highest mountains: Cerro Aconcagua in South America, Kilimanjaro in Africa, Elbrus in Europe, McKinley in North America, Vinson Massif in Antarctica, and Oceania's Carstensz Pyramid. During his Everest attempt last year, Mr Stewart came within 120m of his dream of conquering the world's highest peak but had to turn back to help his guide and two team-mates, who were suffering severe altitude sickness. The "Death Zone", as it is known, is so called because after 8,000m the body can no longer acclimatise to the dangerously low levels of oxygen - highlighting the need for medical travel insurance for emergency help. Mr Stewart, who grew up near Andover, said: "I am very fortunate to have been given another opportunity to attempt to reach the highest point on earth. "I am determined to complete the challenge I set myself. Having got so close last year, I feel more focused and even better prepared to fulfil my dream." Mr Stewart will leave St Andrews on Sunday before heading to Kathmandu early next month to prepare for the climb. 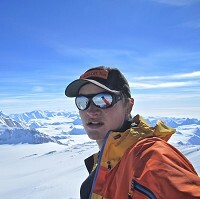 He hopes to reach the summit between May 15 and 30.